Remington shavers are legendary for their ability to provide a quick, close shave. 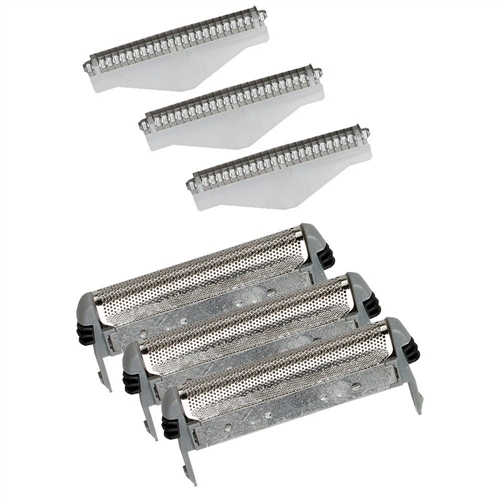 SP94 replacement shaving head foils and cutters can restore top performance to your electric razor with little effort thanks to their easy-to install design. 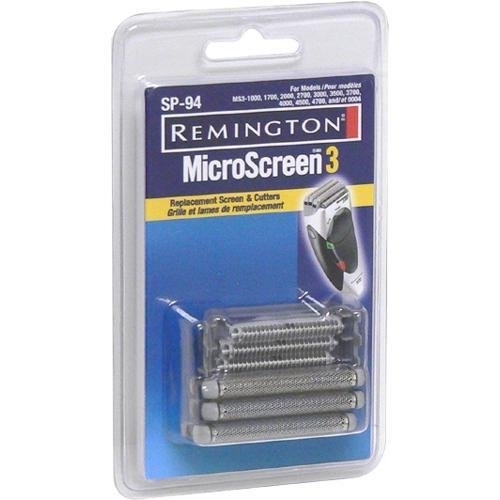 Your Remington Micro Screen 3 (MS3) shaver does a tip-top job day after day easily and comfortably. Your shaving foils are ultra-thin to provide a close shave, but being thin they are also vulnerable to damage and wear. When a hole or dent develops in your Remington SP94 foil, it can impact shaving performance, and even cause injury. It is also important to remember, after a time (typically 12 to 18 months), they can begin to dull. You may notice that it takes longer to shave, that you have to move the shaver in more directions, or that it feels like the hairs are being pulled. These signs are a clear indication that it is time to replace your worn heads with genuine Remington SP-94 replacement shaving heads. 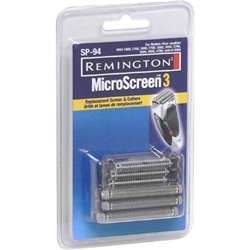 Remington SP94 heads fit the following MS3 shaver models: MS3-0004 MS3-1000 MS3-1700 MS3-2000 MS3-2700 MS3-3000 MS3-3500 MS3-3700 MS3-4000 MS3-4500 MS3-4700 MS34700 RS-8503 RS-8966 RS-8986 . Remington Replacement Shaving Head SP27 Remington Replacement Shaving Head SP19 Braun 11B Replacement Shaving Heads for Series 1-150 Norelco HQ200 Jet Clean Solution - 10 Fl. OZ.